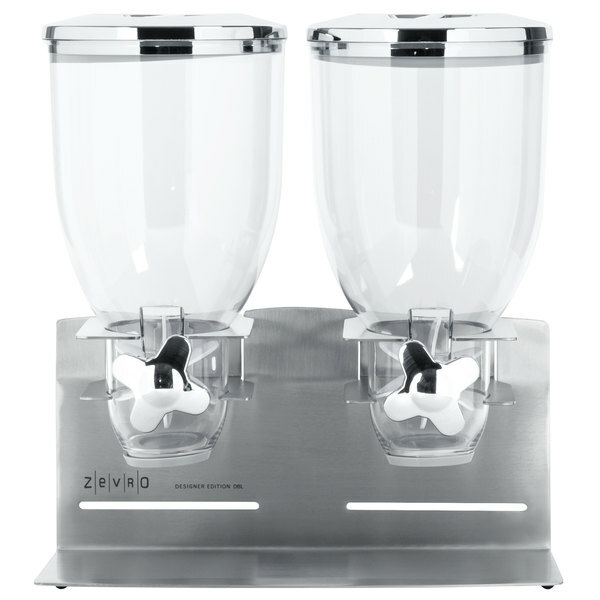 Zevro's original line, the indispensable dispensers, are designed to make lives easier! 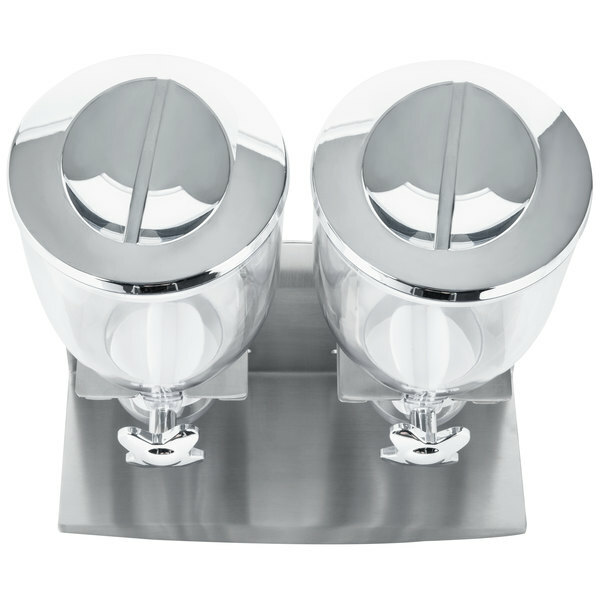 With these different models, your kitchen can have a classic or modern design. These models have great space-saving features. You can place them under the cabinet or on the countertop. Without having to keep open boxes in your cupboard, your kitchen is clean and tidy! They are incredibly easy to use. First, pour in the dry food of your choice and close the lid. 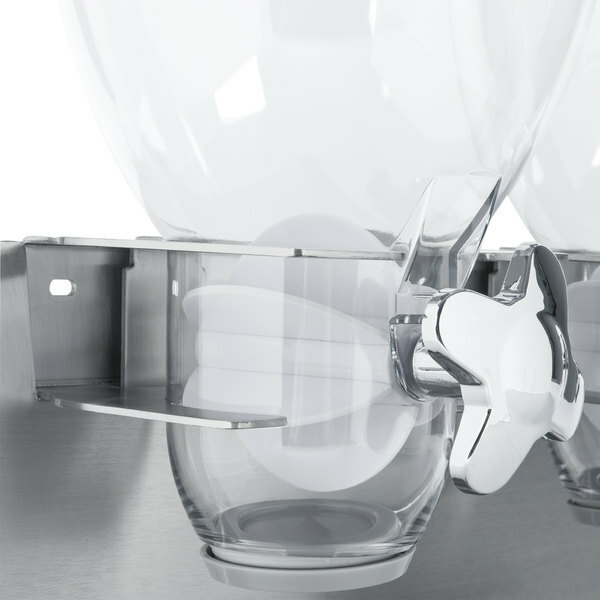 With a simple twist of the knob, you can dispense one ounce of food each time and easily control your portions. 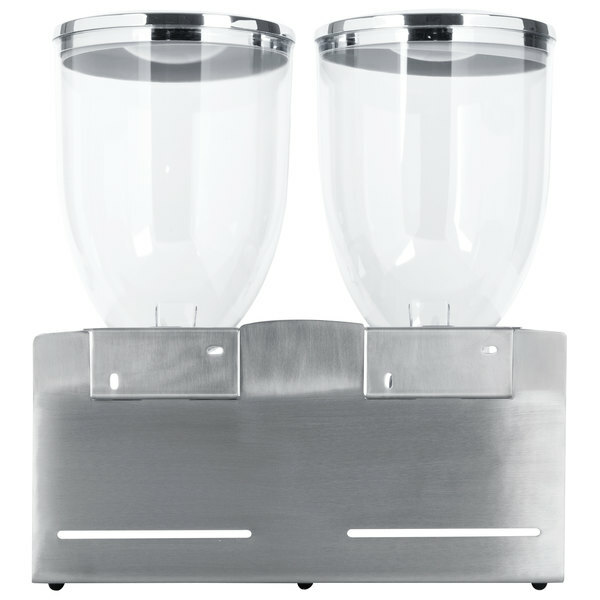 Some of the models come in a double dispenser as well. You can mix-and-match snacks and cereal. 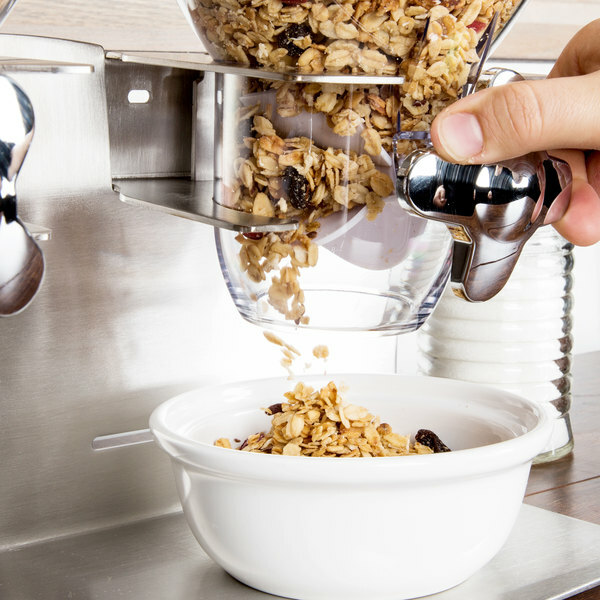 Keep your food fresh and within easy reach for everyone. 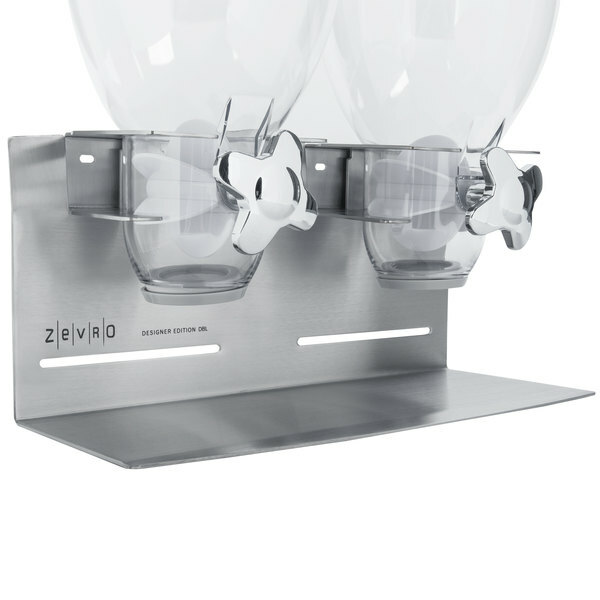 The indispensable dispenser line is an indispensable addition to your kitchen from Zevro! 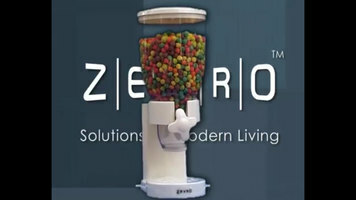 Zevro creates solutions for modern living. 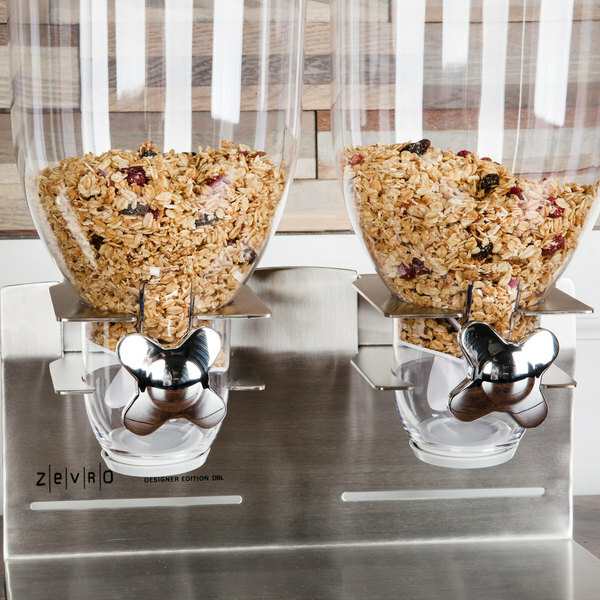 Easily keep your snacks, cereals, and candies fresh and organized with Zevro's dry food dispensers. 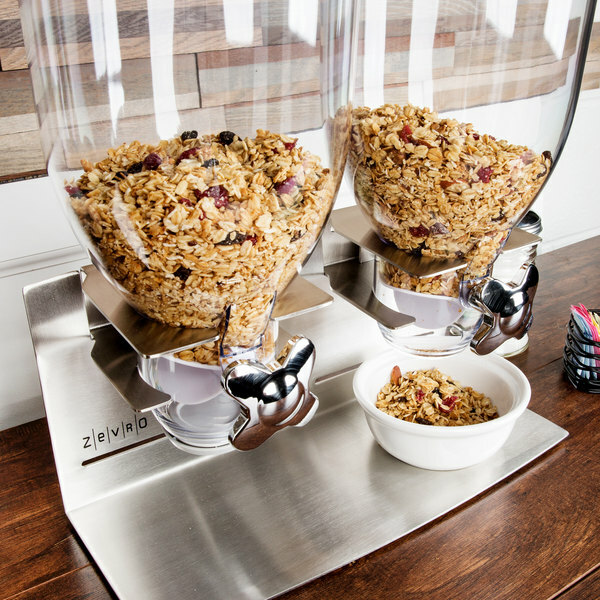 Simply twist the knob and portion out any dry food you want! Capacity per Compartment 17.5 oz. 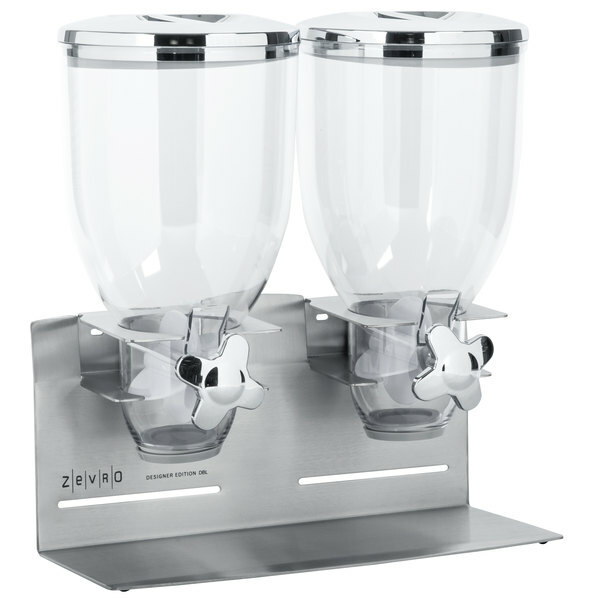 Increase customer convenience while reducing excess waste with this Zevro KCH-06146 stainless steel designer double canister dry food dispenser! 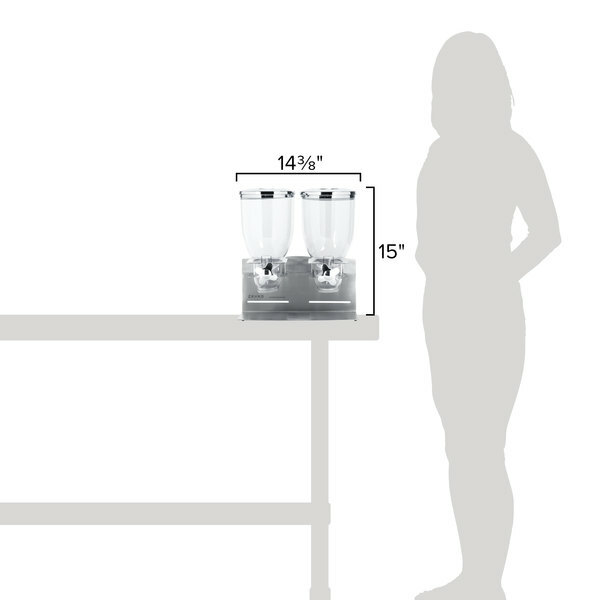 With each twist of the tap, this dispenser releases a measured 1 oz. of dry cereal, granola, candy, trail mix, coffee beans, rice, or pasta. 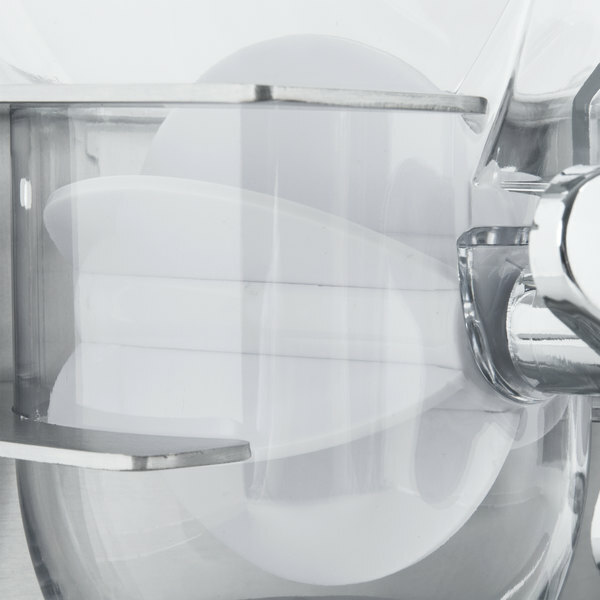 It is designed to keep your product fresh for up to 45 days and will allow your guests to take the exact portion that they want. 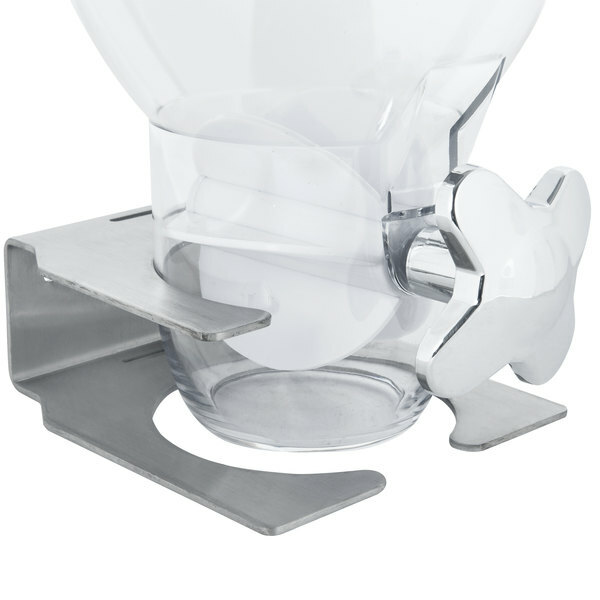 Plus, it is counter mounted for easy access. 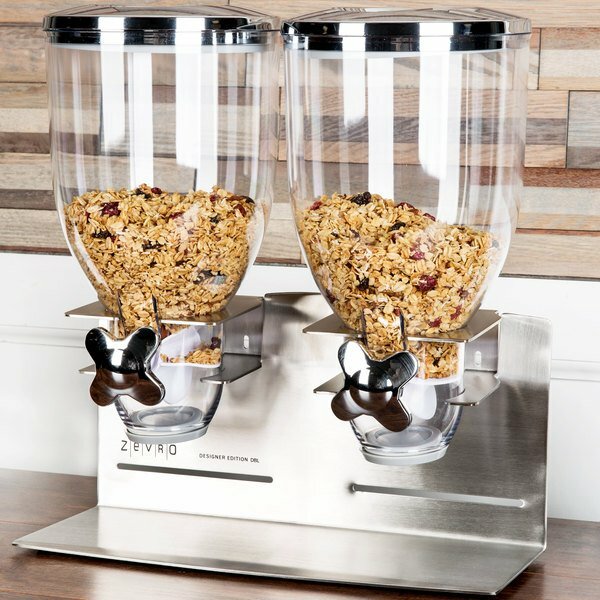 Made with a sturdy, stainless steel base, this dispenser is not only able to withstand daily use, it will add a contemporary style to your market, coffee shop, office break room, kitchen, or hotel breakfast bar. 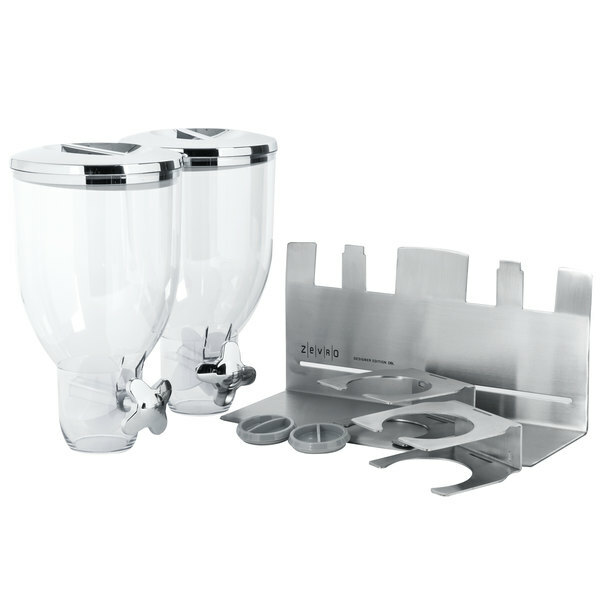 The two, ample 4 liter clear plastic canisters will also hold a large supply, ensuring less refills and maintenance. 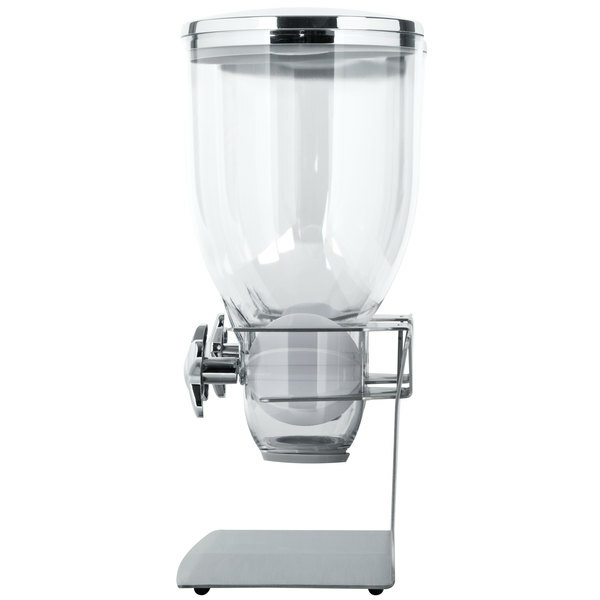 An ideal addition to any facility, this single canister dispenser is easy to use and great for health or weight-conscious consumers. This is a beautiful product, it provides nice portion sizes for your snacks! I love unique and fun kitchen gadgets and this is the best of them all! love this product!